The AIER Eye Hospital Group is built on VICE Chairman/CEO Li Li’s firm belief that everyone should have access to high-quality, affordable eye care – regardless of income level. According to the World Health Organization, around 80% of blindness can be prevented or cured – what’s lacking in many parts of the world are sufficient resources to prevent and treat this curable blindness. China alone is home to one-fifth (18%) of the world’s blind, accounting for a massive five million people – the largest concentration of blind people on the planet. Unable to walk about unaided, many of these people suffer from treatable causes of blindness, like cataract and glaucoma. AIER Eye Hospital Group’s mission is to bring vision to everyone. Established in 2003 by Chairman Chen Bang and Vice Chairman/CEO Li Li, it not only is China’s leading hospital network in eye care, but it also became the nation’s first publicly listed medical institution in 2009, and is the largest eye care group in the world by number of hospitals and market capitalisation. Comrades in arms, the company’s founders shared a bold ambition to improve medical technology and innovative health service in China, to ensure that hospitals are able to meet the changing care needs of their patients. 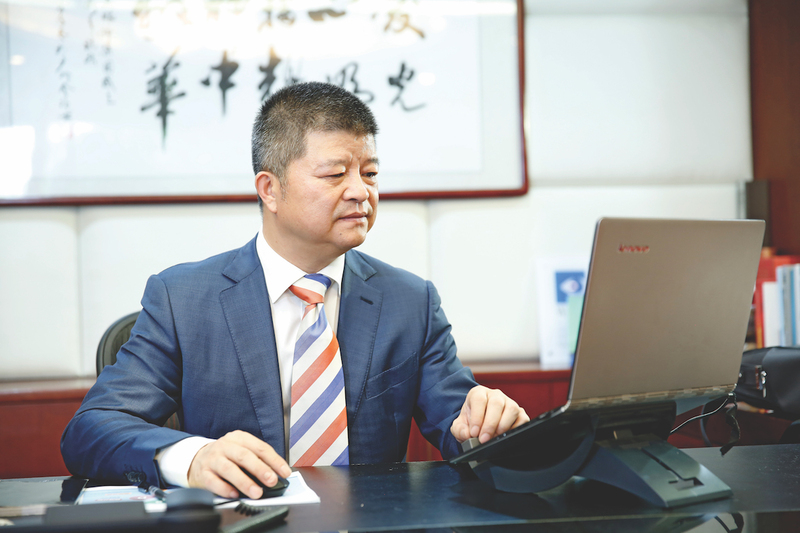 After starting his career in 1986 at the Changsha Auto Electric Factory, Li established the Changsha Huakang Trade Company in 1989, which now focuses on biotechnology and specialises in extracting active ingredients from natural plants and herbs. 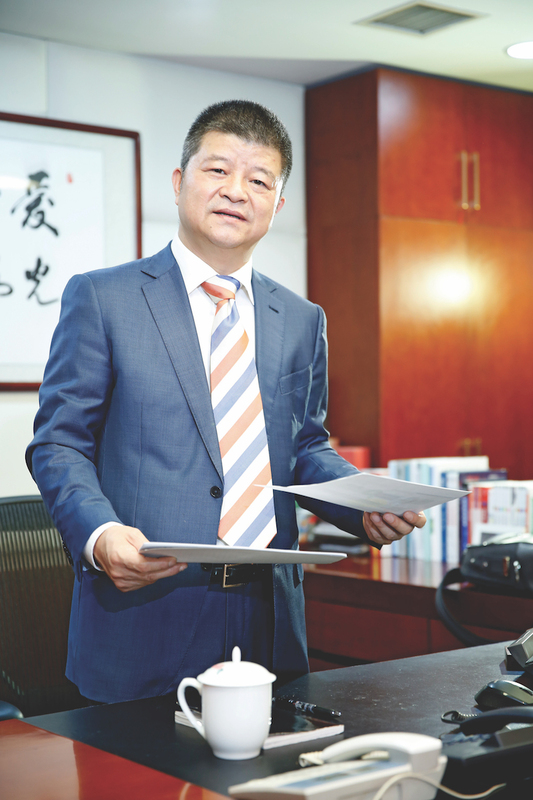 After helping the company mature and expand, Li followed his passion for helping people and entered the healthcare industry in 1997, where he co-founded AIER Ophthalmic Medical Technology. “We built AIER in the belief that everyone, no matter rich or poor, has the right to eye health. Headquartered in Changsha, the Group has now established more than 258 specialised eye hospitals covering 30 provinces across Mainland China. Its services reach around 70% of the nation’s insured population and it receives more than seven million outpatients each year. Of its 26,720 strong workforce, the Group has around 3,981 ophthalmologists worldwide, who helped contribute to more than 713,900 procedures in 2017. AIER now offers various types of eye disease diagnosis and treatment, surgical services and medical optometry; treatment for all eye diseases, especially myopia, cataract, glaucoma, retinal diseases, pediatric ophthalmology, optical and contact lens services. According to the World Health Organization, half of the world’s blindness is caused by cataract. As the leading cause of blindness in China, cataract affects approximately 2.5 million people, and each year around 400,000 people become completely blind because of this abnormality. While the condition is easily treated with a straightforward 15-minute operation to replace the cloudy lens with an artificial one, this treatment is something millions are still unable to access – whether that is due to financial reasons or living in a remote location. in the US. It now has more than 82 locations in four European countries, and covers around 200 million people after purchasing European peer Clínica Baviera SA in August last year. Looking ahead, the Group will continue to expand across the US, Asia–Pacific and Africa in coming years. Li says the biggest challenge he’s faced so far was the resistance from Americans to a Chinese brand. “We quickly discovered that the US market is a completely different model compared with China’s and those of other countries we currently operate in,” he explains. Li believes that by providing top-quality care, creating jobs and strengthening bilateral economic ties, the Group will gradually receive greater acceptance by American people. Through AIER’s high-volume, cross-subsidy model, high-income groups subsidise low-income groups, enabling sustainable public welfare development. AIER provides patients with quality service not only in its hospitals, but by also making time for social welfare initiatives to help vulnerable groups in the community and promoting awareness of preventive measures against blindness. The Group is also a leader in medical education and academic research, and established its own school, the AIER School of Ophthalmology at the Central South University in Changsha in 2013. As the first specialised ophthalmic college in the country, the School is a leading example of medical education reform in China and Li sees it as an important talent hub for expert cultivation. Each year, 30 postgraduate and 10 doctoral students are exposed to the best clinical teaching practices, international research methods, specialist guest lecturers, and ophthalmic technologies. In 2013, the AIER Eye Hospital Group and Hubei University of Science and Technology joined forces to establish the AIER College of Optometry, to cultivate talent and develop professionals to meet the industry demand. Bridging all three areas of medicine, education and research, the College offers subjects including optometry, binocular vision, low vision, contact lens fitting and glasses processing, with 50 graduates each year. In 2011, the Group established its own institute, the AIER Optometry Institute, and in 2015, established the AIER Ophthalmology Institute. “These partnerships with other ophthalmic colleagues, international organisations, and education institutes help us all to keep developing and optimising new technology,” Li explains. To ensure these alliances with leading research and development institutes continue, AIER launched its Partnership Program in 2014 to focus on changing the ecological environment for ophthalmologists and maximising the creativity and initiative of core members. Li says the fast development of technology and innovation in China has been a key driver of AIER’s growth in recent years. Using AIER’s online pre-check-up model, patients are able to contact doctors and have consultations even before they step into the hospital. Li has found that this approach not only increases the hospital’s operational efficiency, but also reduces the rate of misdiagnosis and helps patients living in rural areas access medical resources remotely – which resonates with the company’s mission to ensure people from all walks of life have access to quality eye care. To strengthen its offering in the market, AIER has aligned itself with a number of leading suppliers of » ophthalmic instruments, drugs and consumables, including Zeiss, Alcon, STAAR, Novartis, and Bausch + Lomb Trading Company. We are seeing the introduction of cutting-edge technologies like AI and genetic technology. To deliver the best possible outcomes for its patients, Li explains that AIER only partners with organisations that have the most advanced and innovative technologies in their respective fields of ophthalmology. Zeiss has its VisuMax ‘SMILE’ Lasik surgery system to correct near-sightedness, Alcon has the LenSx femtosecond cataract surgery system, and STAAR uses the ICL lens to treat refractive errors,” he notes. Under China’s current vision health policy environment, it is expected that by 2020, the number of myopic patients (those with near-sightedness) in the country will increase to 704–711 million – double that of the entire population of the US. Over the years, AIER has solved vision problems for more than 1.5 million of these patients through myopia surgery. Since the arrival of the SCHWIND AMARIS laser system in China in 2011, more than 50 AIER eye hospitals have introduced the system and have successfully helped thousands of patients. SCHWIND’s smart laser features a 3D pulse arrangement, meaning it can conform to the original shape of the human cornea to achieve a smoother finish and a more rapid postoperative recovery for patients. Set on becoming a leader in the ophthalmic industry, AIER Eye Hospital Group has put in place a strategic 2020 vision plan split into five segments – globalisation, networking, innovation, digitalisation and improving the affordability and accessibility of health care. This works in conjunction with China’s National Health and Family Planning Commission’s 2016–20 National Plan of Eye Health, which aims to push forward eye disease prevention and control in China. Within the next two years, AIER aims to own and operate a total of eight international hospitals, 25 provincial hospitals, 200 regional hospitals, and 1,000 primary hospitals and clinics, catering for more than 30 million outpatients. 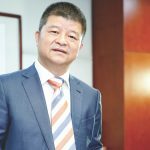 AIER Eye Hospital Group ranked in Forbes Asia’s 200 Best Under a Billion 2018 list and currently ranks number 73 in Forbes’ Innovative Growth Companies list, with a net income of US$84 million and sales upwards of US$601 million in 2017. Li believes the key to an effective team starts with effective leadership. “If there’s anything I’ve learned over the years, it’s that you are never too old to learn. Personal development and learning ability are positively related. “To me, success is contributing to society in terms of the prevention and treatment of blindness, and creating opportunities for our employees to come closer as a team and succeed in their careers. We ensure the close cooperation of our market and clinical teams to constantly improve our ability to meet the needs of our patients.